Today my oldest baby (Peanut) starts second grade. I can't believe how fast time goes! We have a tradition of writing letters to Peanut in a picture book and giving it to him the night before his first day of school. I wrote about this Book-School tradition that we started when he went to kindergarten at Nerdy Book Club. 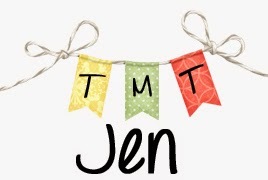 I love bookish traditions and am happy we started this with Peanut. 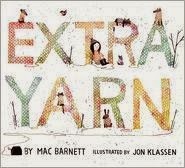 This year, we gave him Extra Yarn by Mac Barnett with illustrations by Jon Klassen. I love the message of Extra Yarn, that we can always give to others and that we should do our best to be generous in our giving and in our friendships. I think it's a perfect message for starting second grade. 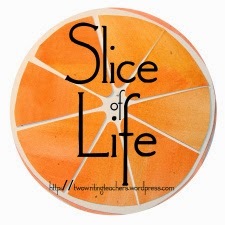 What are your favorite books for 2nd graders? I would love to hear what book you would pick out for the first day of school for a 2nd grader...or for any other grade!